I began collecting G.I. Joes rather late in the game. I never got the chance to find several of the characters that made frequent appearances in the cartoons nor the comic books. 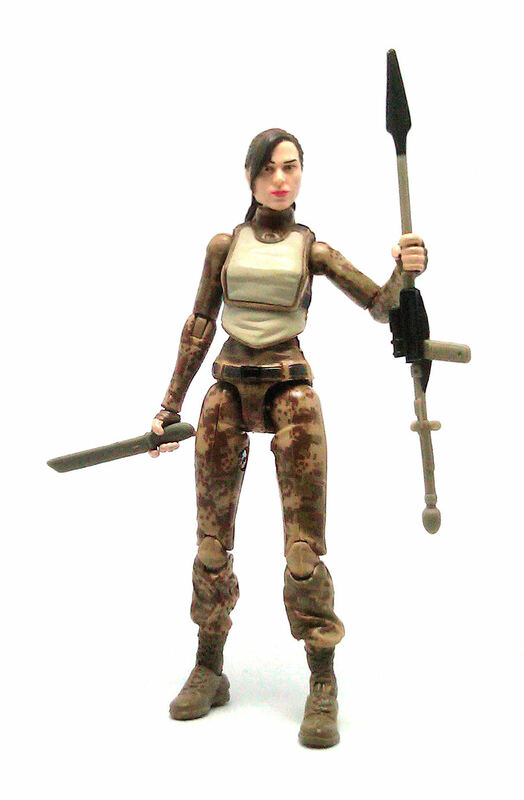 One of those was Lady Jaye, so I jumped at the chance to add her to my collection as she came out in the G.I. Joe Retaliation line by Hasbro. Now, a common issue with this line is that Hasbro used preexisting molds for some of the characters, not really even trying to match their look on the screen, and Lady Jaye here is a prime example. Jaye’s head sculpt is actually pretty decent but not much of a resemblance to actress Adrianne Palicki, although this is probably due to the coloring, but let’s talk more about that later. All of the points of articulation work great and the joints feel firm enough to hold any pose. The only restriction that comes up is that the neck joint becomes useless if you put on her any f the backpacks included, since the ponytail gets in the way and locks her head to the side. 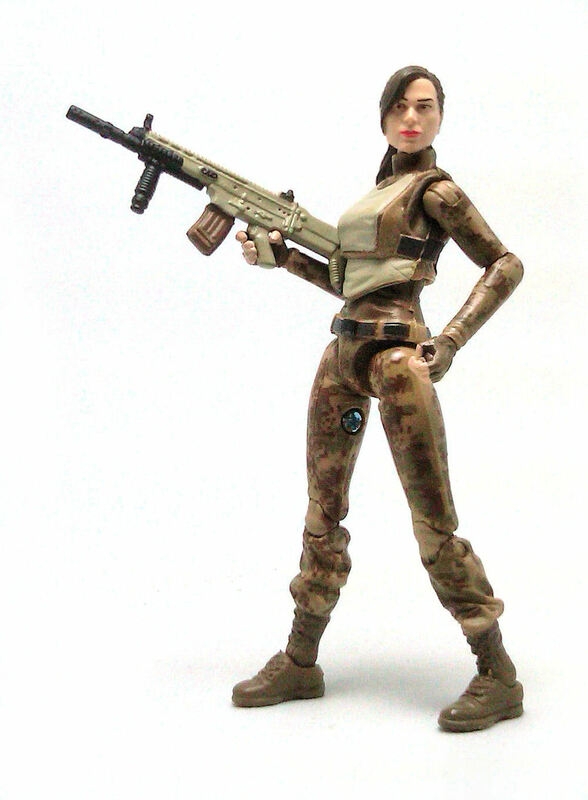 The paint job on Lady Jaye is pretty decent. 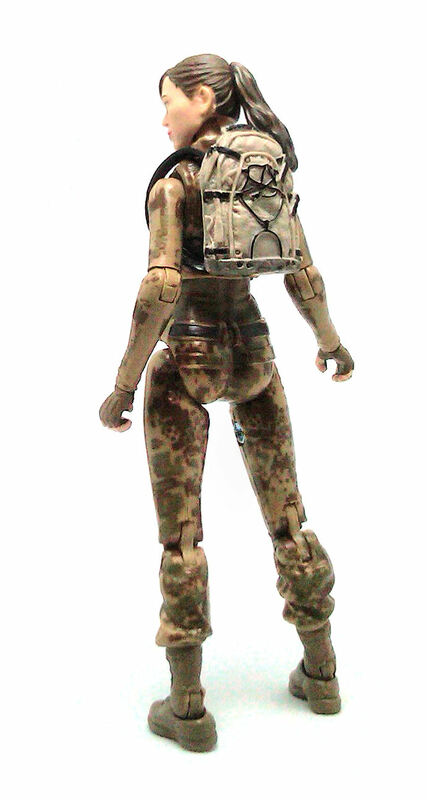 The uniform displays a digital camouflage pattern applied in different shades of browns and the paint on her face is also neatly applied, although the end result is less than attractive. It may have to do with the stark contrast between the almost-neon lip color and the pallor of the face, further enhanced by solid dark brown eyes set a bit too close together. 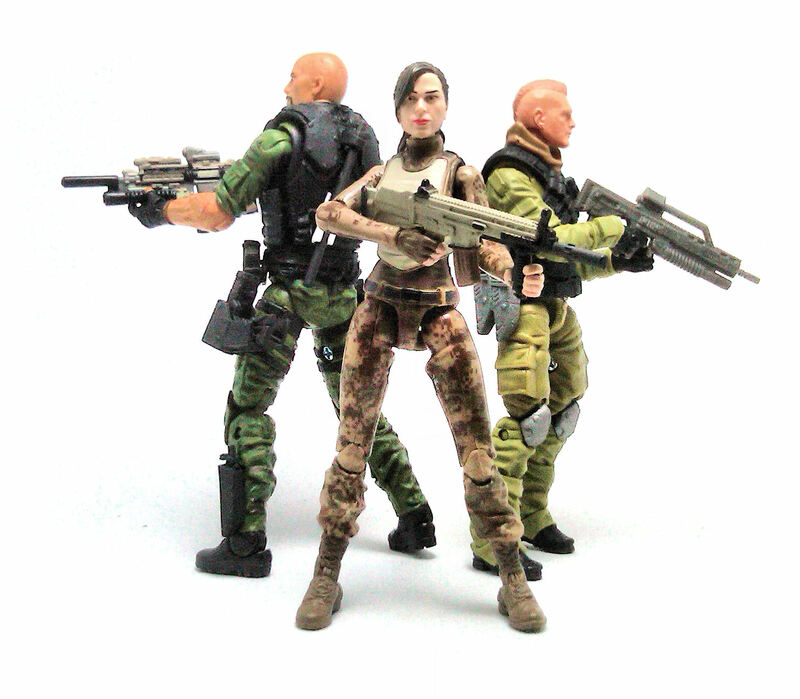 The part where Lady Jaye really shines is in her accessory load. 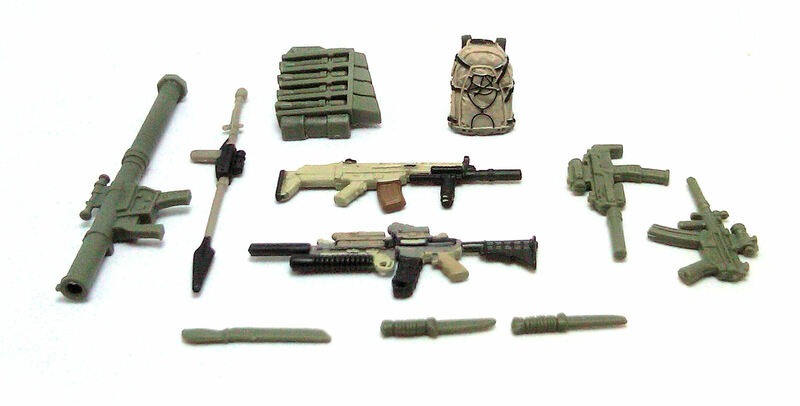 Jaye comes equipped with pairs of backpacks, assault rifles, submachine guns and knives. 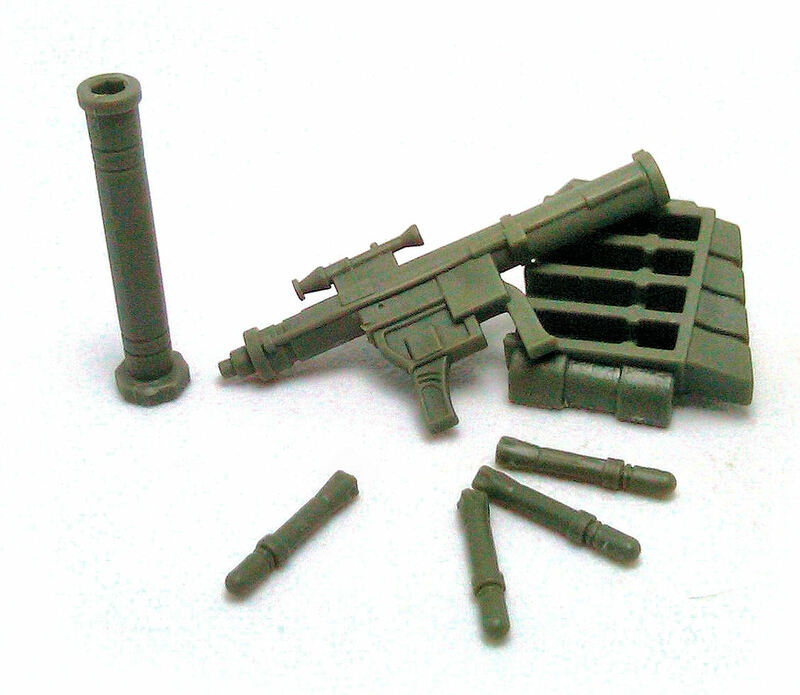 She also comes with a few singles, like a machete, a 2-piece bazooka and the javelin-launcher-thingy that resembles the accessory she had in the vintage line. One of the backpacks is for carrying four bazooka shells, which are included as separate pieces. 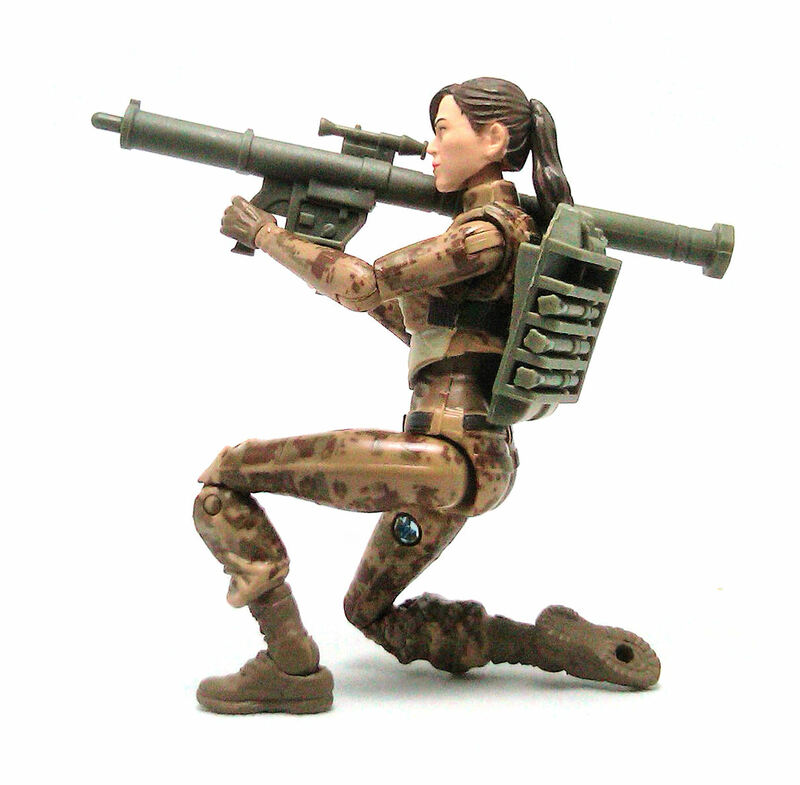 Overall, I found this Lady Jaye to be a pretty fun action figure and I am glad Hasbro decided to use this mold instead of issuing a movie-accurate version with reduced articulation. I didn’t realize there was that much stuff in that blister. I’ll have to get her now. I almost passed on her whe I saw her in the store (only once so good luck e-nerd)but I am sure glad I didn’t. While yes the body is a straight up reuse I can’t think of a better body to do so, the Renegades Scarlet was a great figure as far as basic look and articulation, and with a very well done paint app makes a passable LJ. Like you noted, the load out is the big winner here, and some of the gear even gets paint apps! The head sculpt may not do justice to Palicki and the pony does restrict some movement, but tat wasn’t a huge drawback for me.